These three private acres are set in one of the most exclusive neighborhoods in the southern zone, featuring a community that values views, shared activities and the beauty of tropical landscapes. With a building site already leveled, a well-maintained road, and water and electricity in place, you can start building your dream home as soon as you have your plans and permit in hand. Lot 3 in Costa Verde Estates is about 15 minutes from the coastal highway and high enough to be comfortably cool and breezy. There are tennis courts for residents, as well as a gym and a common area pavilion where you can join friends to watch beautiful sunsets while sipping cold drinks. Security is assured by a gated entry that is manned by a live security guard who checks people coming and going. Once inside this vast development, you can do your fitness walking with complete peace of mind. If all of this appeals to you, let’s go take a look. 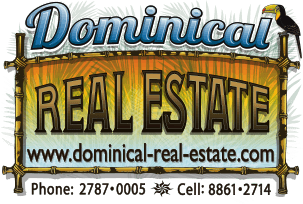 Call Ron at 506 8694 3176 or send me an email for more information to ron@costaricarealestate.net.